With Valentine's Day coming, I thought this would be the perfect time to share this recipe - Jumbo Lump Crab Cakes. Cooking at home can be so much fun together, and can also help you keep your money in your wallet. These cakes are much easier than you may think and turned out to be about $3/each - much better than the $22-$35 you can pay at a nice restaurant. So I say cook at home, take the savings and put them towards a nice bottle of wine. 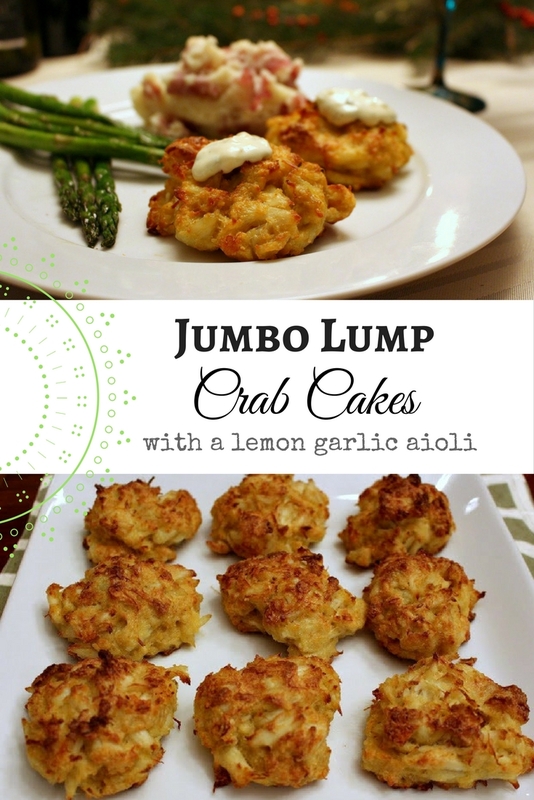 I love jumbo lump crab meat and often order crab cocktail at a good restaurant. 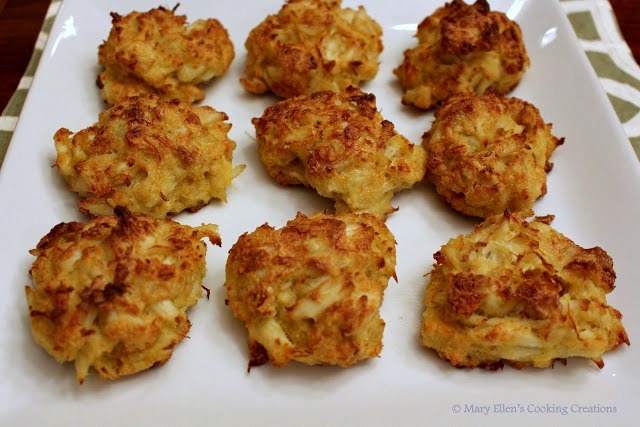 If that isn't on the menu, I'll go for crab cakes, and in my opinion, the best crab cakes are full of lump crab meat with little to no filling. I had crabcakes at McCormick and Schmick's in Atlantic City, NJ a few months ago that were seriously all crab meat, no filling. I don't know how they held up but they did, and they were fabulous. After that dinner out, Jon and I started discussed our plans for Christmas Dinner. He decided he wanted to make Lobster Stew (keep your eyes open - that post is coming soon!! ), so I thought a seafood feast would be perfect, with jumbo shrimp cocktail as the appetizer course, lobster stew as the soup course, a green salad, and jumbo lump crab cakes with garlic smashed potatoes and roasted asparagus as the main course. Oh, and then there was dessert - my dad's pumpkin cheesecake and cookies. Can you say food coma?! So worth it though! 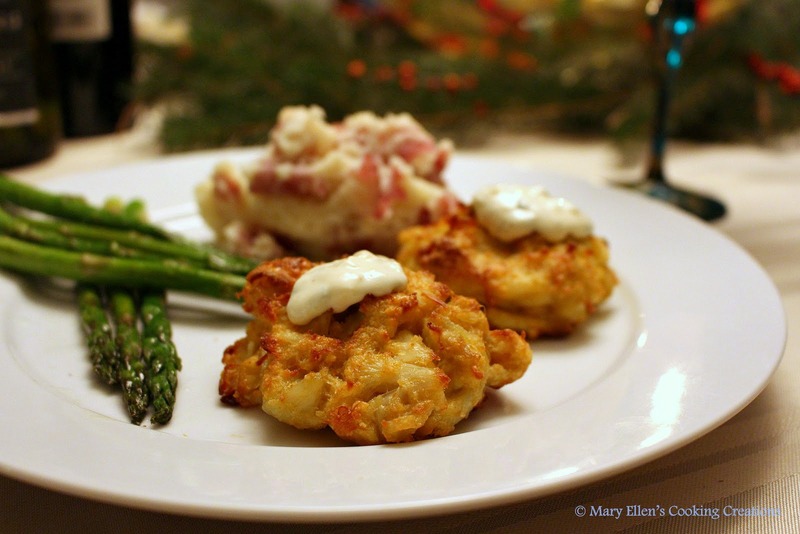 Ok - back to the crab cakes. 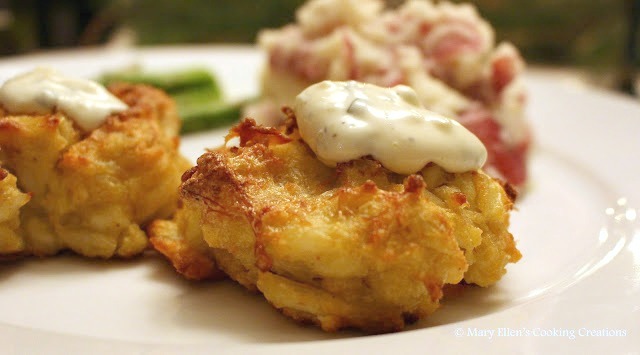 While Jon went in search of the perfect stew recipe, I consulted my dad for his favorite crab cake recipe. Turns out he uses the Legal Seafoods recipe, so that is what I used. These were ridiculously easy to make. 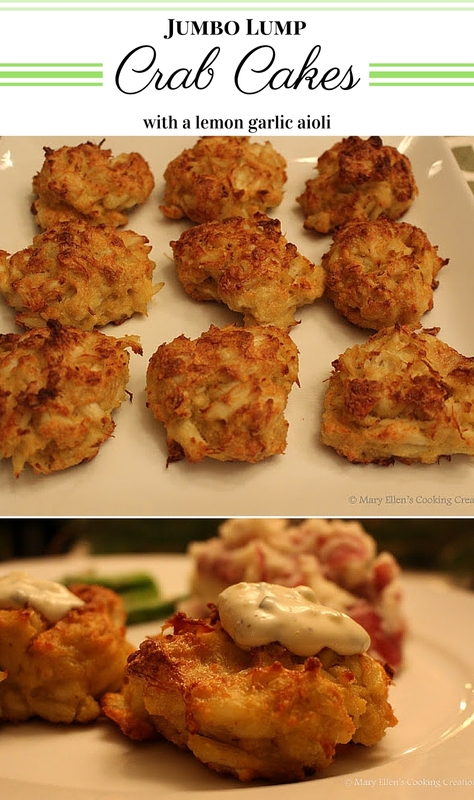 I bought 2 containers of the jumbo lump crab meat at Costco and made 20 cakes. That was double what I needed to serve everyone at Christmas dinner, so I was happy to find out that they reheated perfectly in the oven the next day. I made a garlic aioli to serve with the cakes - savory, creamy, and bright. I could have eaten the aioli on its own. Cover bowl and place in the fridge for an hour. Line a cookie sheet with foil and spray with cooking spray; preheat oven to 400 degrees. 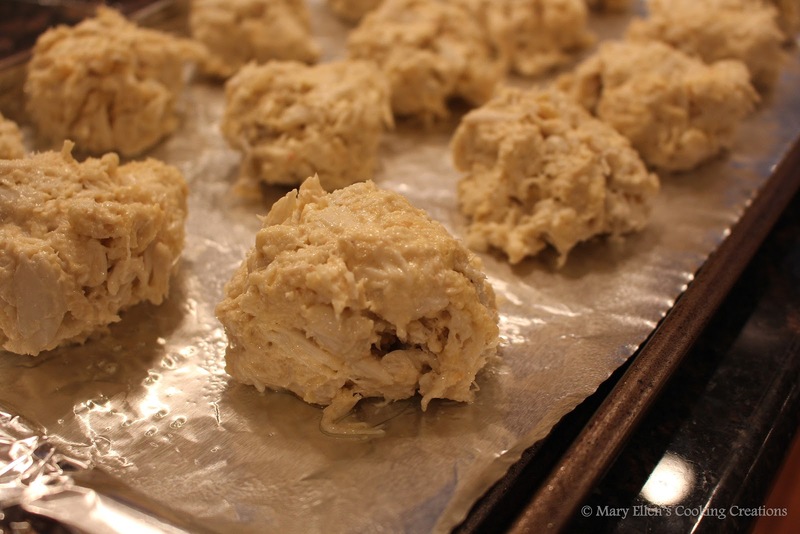 Divide the crab mixture into 4 portions and shape into patties. Place on the sheet. Bake in the center of your oven 20-30 minutes, until nicely browned. Whisk all ingredients together in a bowl. Chill before serving.